Fun. That’s been one of my main goals for this season. 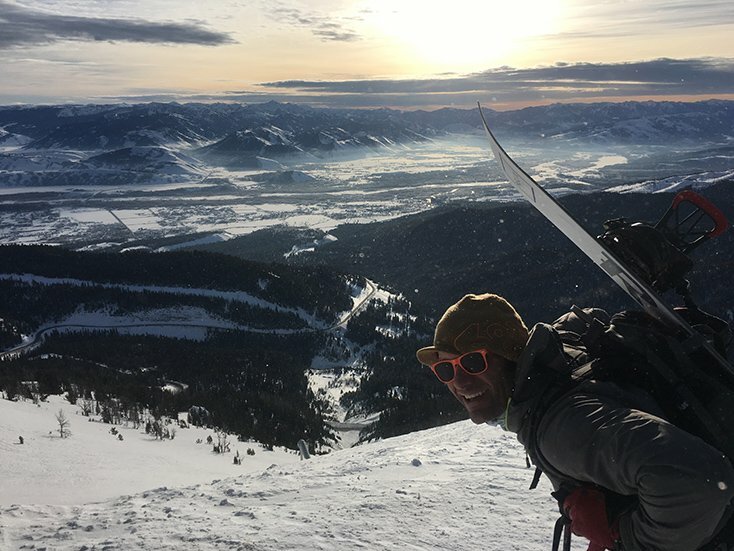 After a few years of 3 AM wake-ups and 8-hour approaches, this deep, erratic snowpack has led me to a rediscovery of something that those of us who take riding too seriously seem to have forgotten: Snowboarding is supposed to be fun. The guys at Ride get this. Otherwise, they never would’ve created the new Ride Helix Snowboard, a twin-cambered asym that punches in all three dimensions and led to some of my funnest mini-golf sessions of the last few years. Let’s start with what the Helix is not: a big mountain board. Up high, where it went from windboard to wet sticky windload into hard coral chunder, the Helix chattered and refused to put in an edge on steep, near-bulletproof. Not very confidence-building for rowdier lines. 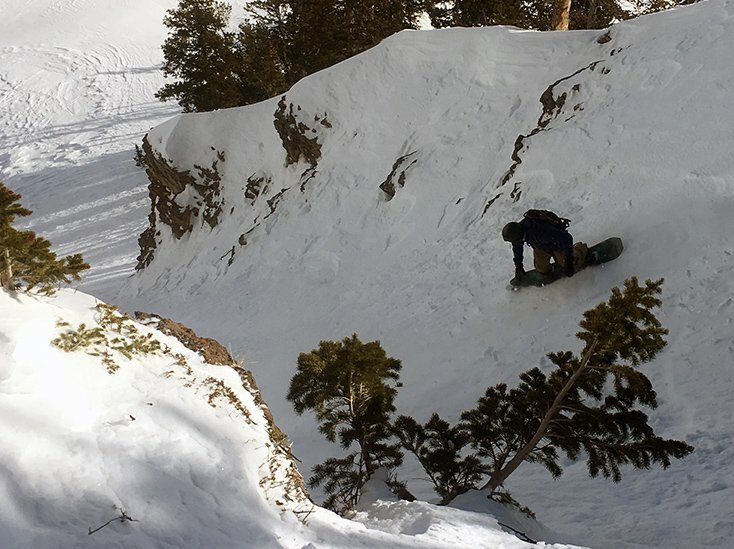 Then I took the first few turns down a protected chute and it carved like butter. The nearly-flat heel felt strange, forcing me to point it (turning’s soft anyway, ha). But where the board really started to win me over was when we got down to a treed section full of small and medium drops. The first double-overhead huck and the Helix absorbed it like it was nothing, the twin camber, and stiff Pop Rods in the tail doing their job. Next thing I know, I’m launching off a rock and mid-air decide to land switch, in pow, something I hadn’t done since turning into directional split-mountaineering serious guy a few years back. Stomped, without even thinking of it. The board did all the work as I cruised switch through chunked pow. And that’s when I realized the key to asym: The real gains will be riding switch. 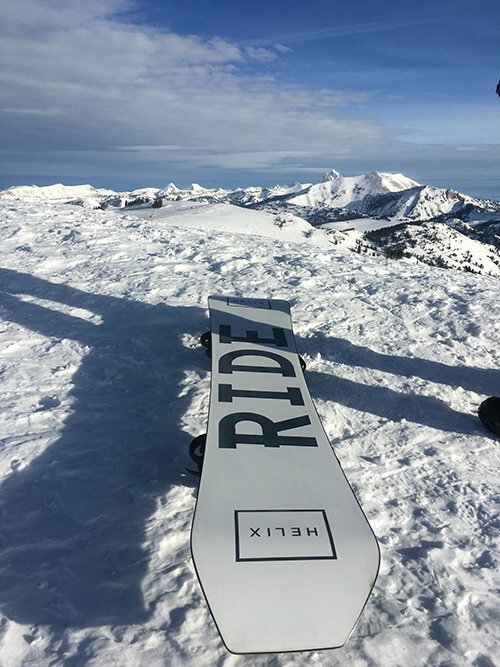 The idea behind asym boards is that, due to the way our bodies work, our heelside turn mechanics are different from toeside and so a heelside edge should be different from the toeside. Of course, this works on a twintip or else a company would have to make goofy and regular boards (which some have done but it’s not a very efficient business model). I found heelside turns on the Helix a bit strange at first. I can explain this best through surfing: You learn from a young age to surf backside different from surfing frontside (and the best surfers usually pull away from the pack by being able to rip backside). Along those lines, after spending over 18 years snowboarding, my heelside technique is pretty well set. But my switch heelside isn’t strong, especially since I traded SoCal park rat leanings for Teton peakbagging. With the Ride Helix, I was soon driving it through in reverse like a boss. That’s really the greatest difference with asym: A good rider can become a really good switch rider. As I said, it struggled a little through some of the iceball crud and boilerplate on a wind-affected ridge. And when I got below the soft pow into wet and sticky Sierra cement (thanks La Nina), it really didn’t have the float. But when I took it in-bounds, man I heard music from the gods. It holds speed well and I never had to hit the brakes despite my Helix being a good bit shorter than my usual 164 all-mountain beast. It’s a little beefier to butter but that’s why it absorbs drops to flat so well. 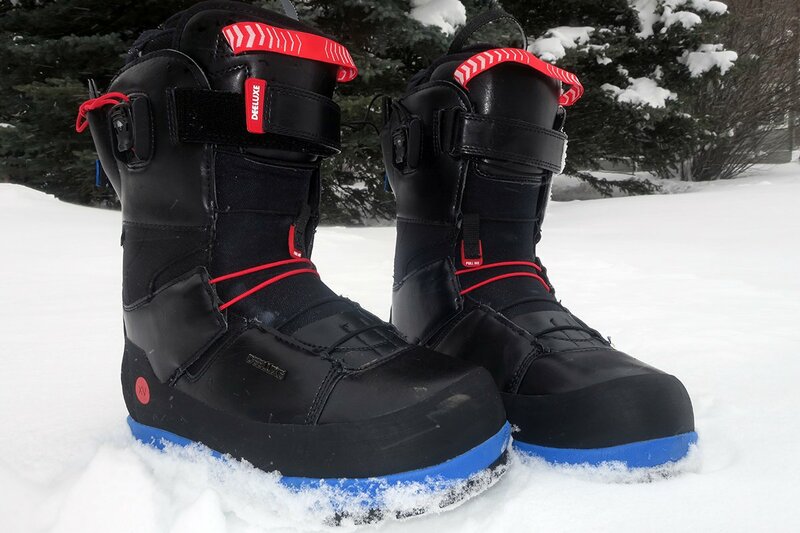 After a few runs I was able to figure out the quicker toe-to-heel (thanks to the flatter heelside) and link up freakishly tight turns, no doubt helped out by the power-distributing Carbon Array 3 Laminate. Once you get it dialed, this board turns on a dime, perfect for techy little inbounds shots. In the end, I got the feeling that a year spent riding exclusively on the Helix would change the way you ride, which could ruin you for boards without the asym shape or the twin camber, but if you stayed on the Helix you’d be going bigger, stomping more, sucking the marrow out of in-bounds terrain and killing it switch. 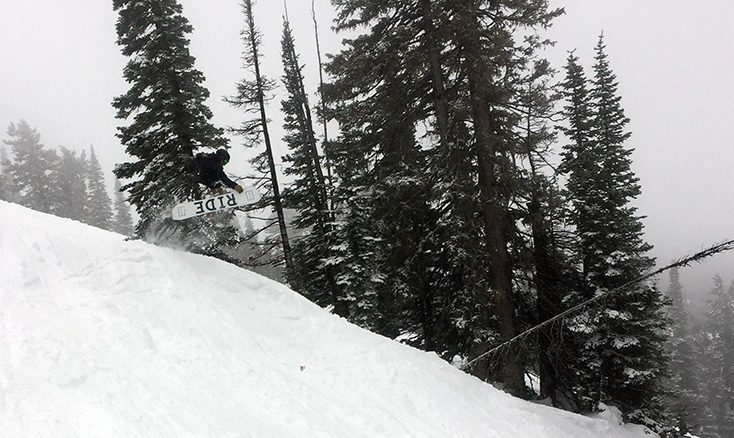 I had a session one afternoon at Grand Targhee (Wyoming’s BEST ski resort, just BTW) lapping ungroomed pow fields filled with drops ranging between about 4 and 10 feet and found myself running through all the tricks I’d long ago dialed and forgotten. Sure, by the end of the day my old guy knees felt their age. But the ability to spin, pop, stomp down the hill, all while devouring chunked up (and sometimes untracked) pow at full tilt reminded me why I first left behind the square world of two planks for the fluid world of one. Snowboarding is going downhill on a board and adding some style to spice it up. That’s all. While other brands try and make it more complicated than that, Ride strips the sport down to its most basic element – fun. You can see that in Ride’s freeride superhero Jake Blauvelt and in their podium-topping ripper Yuki Kadono. That rising sun superfreak (who won Air and Style at the ripe old age of 12, no biggie, and is now just dominating) swears by the Helix and I can see why. 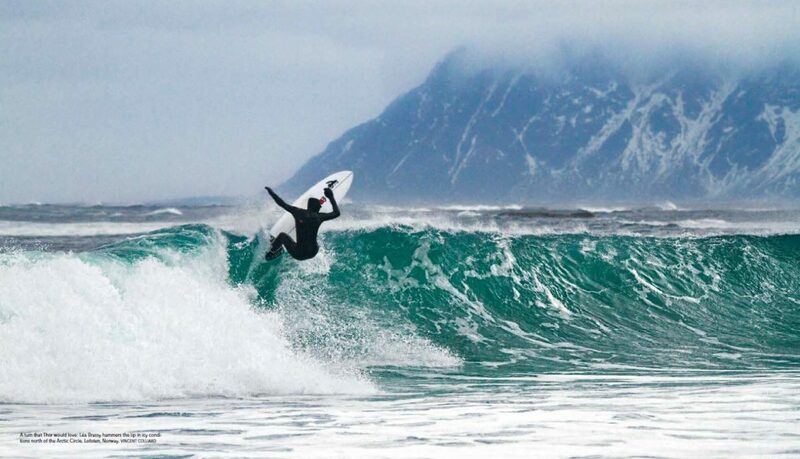 When it comes to stomping, riding switch, shredding soft and soft packed, no board comes close. 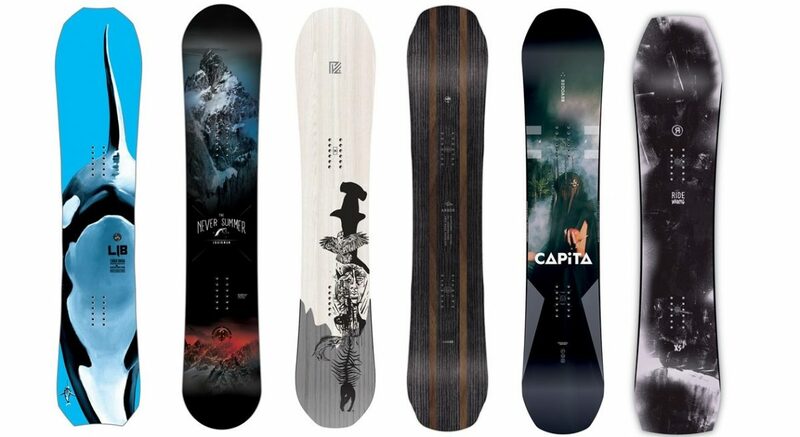 If you live to add notches to your split-mo belt or perfect your deep pow carve, this probably isn’t the board for you. 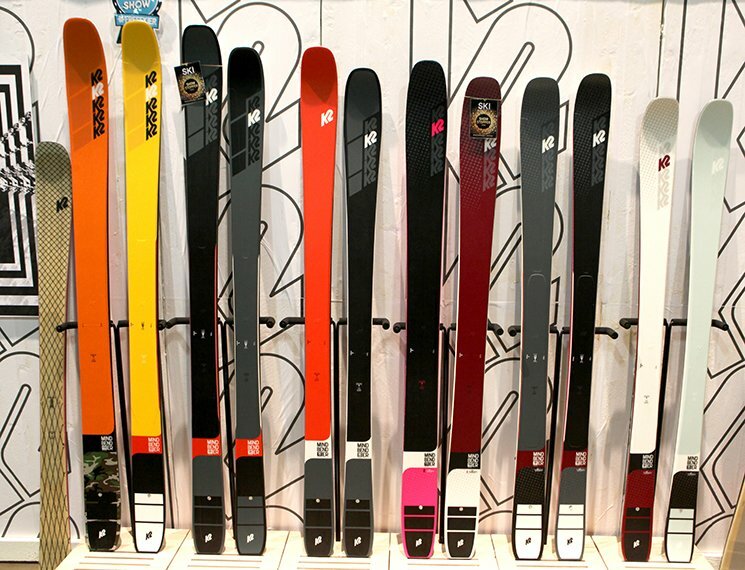 But if you say yes to every kicker, and find immense joy tweaking methods off a side-hit (and especially if you love to do all of that switch), you owe it to the universe to pick up a big-boy-toy from Ride Snowboards ($509) You can thank me later. I’ll be the old guy hooting after sticking a front 180 off a cat track. yo, im an intermediate park rider, i can 3, do grabs and a few rails / boxes, im not too good but not too bad. do you think the board would work for me? It would definitely work for you. Super stable for not-quite-perfect touchdown and the asym will be a huge help for getting your switch riding and landing dialed. Depending on what you’re used to (i.e. a super soft park board) the stiffness here might take a second to get used to but once you do, it’ll lead to bigger olleys and a stronger landing platform when you stomp ’em. How did the helix do in powder? Im headed to big sky in 11 days and was just wondering. For a “park” board (ridden a bit shorter than I normally would), it did amazing. It’s a bit stiffer than your standard park board which gave it more float and power. And the asym actually help me land and ride switch in pow, better than my normal boards (and infinitely better than my standard pow guns). I actually had one day just lapping deep refilling ungroomed and it was one of the most fun days I’ve had inbounds.